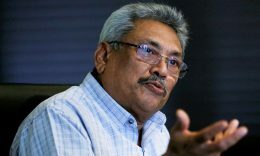 Opposition Leader Mahinda Rajapaksa assumed duties at the Opposition Leader’s office at No 30, Sir Marcus Fernando Mawatha, Colombo 07, after a religious ceremony, this morning. 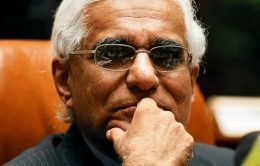 The Central Bank is steaming ahead to raise funds for debt repayments, aiming to raise in excess of $5 billion over the next two months from a range of sources, including currency swaps from India, loans from Chinese banks, an international sovereign bond, lines of credit from State banks, as well as Panda and Samurai bonds, a top official said yesterday. 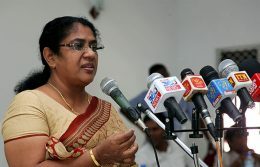 Minister of Justice and Prison reforms Thalatha Athukorala says the law will be enacted against all those involved in the assault incidents reported within the premises of the Angunakolapelessa Prison, regardless of rank and distinction.